The business world is a dynamic, volatile and lucrative realm. This program is focused on helping you understand the system and develop your abilities to make it to the top of the business world. Whether your ambition is to become a CEO or business entrepreneur, Swinburne Online's Master of Business Administration will hone the skills you need to get there. The course also covers marketing, giving you the nous to effectively position your business with your target market and against your competitors. You'll analyse your own risk taking and innovation and learn how to avoid common business threats while innovating towards market trends. 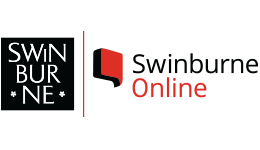 Swinburne Online understands that many of you will be working and have provided a flexible program that can be organised around your work schedule. Wondering where a career in MBA could take you? Potential job outcomes may include; General Manager, Management Consultant, Sales Manager, Chief Executive Officer, Operations Manager, Managing Director, Consultant, Business Development Manager, Chief Executive Officer, Chief Administrative Officer, Business Systems Analyst, Office Administrator, Project Support Officer.